You all know that I am a total bacon lover! Especially during the holiday season, I make bacon all the time and it is often cayenne candied bacon too. 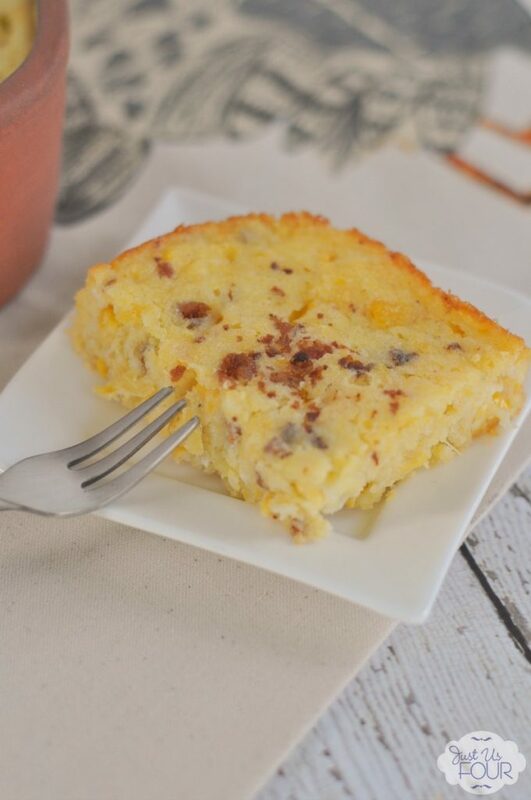 I was thinking of Thanksgiving favorites that I could add a little bit of a different spin to an instantly thought how great candied bacon corn pudding would be! 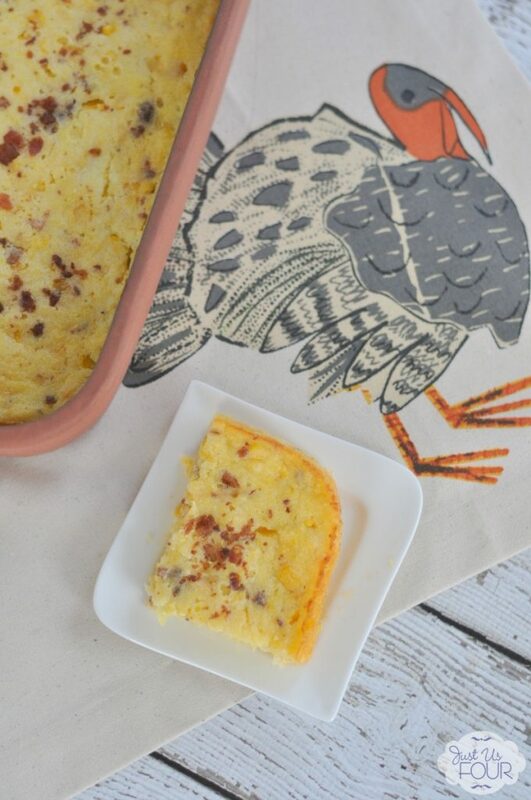 I actually shared this recipe last year but it got lost in an overly long post about Thanksgiving. So, I thought that made it a perfect #TBT candidate. 1) Preheat oven to 350 degrees. Line a large, rimmed baking sheet with foil. Place a nonstick cooling rack, coated with cooking spray, on top of the foil. Line up bacon on top of cooling rack. 2) In a small bowl, combine brown sugar and cayenne pepper. Stir well to combine. Coat the top of the bacon with the sugar mixture. Bake at 350 degrees for 10 minutes. Reduce the oven temperature to 325 degrees and bake for an additional 15 minutes. Remove from oven and let cool. Chop into small pieces. 3) Meanwhile, lightly beat the eggs in a large mixing bowl. Add creamed corn, whole kernel corn and melted butter. Stir well. Stir in sour cream and corn muffin mix. Mix well and then stir in 2/3 cup of bacon pieces. 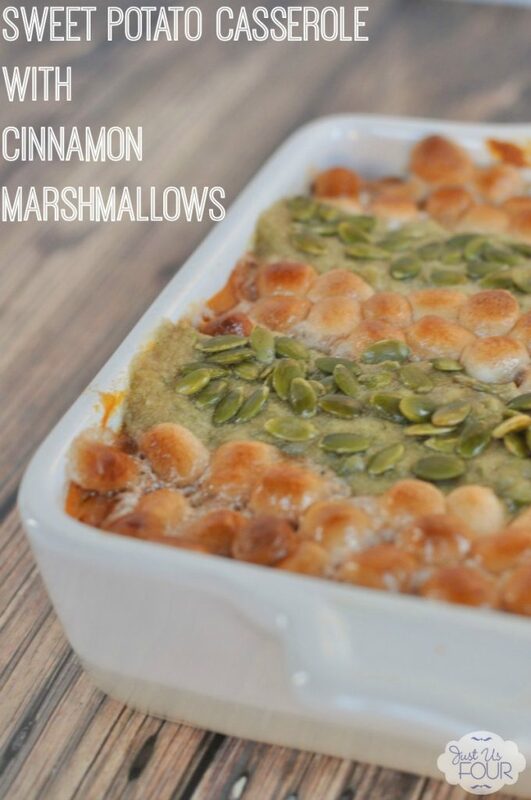 4) Pour mixture into a 9×13 baking dish coated with nonstick cooking spray. Sprinkle the top with bacon pieces. 5) Bake at 350 degrees for 45 minutes or until the center is done. So, this casserole is the perfect combination of sweet and spicy. 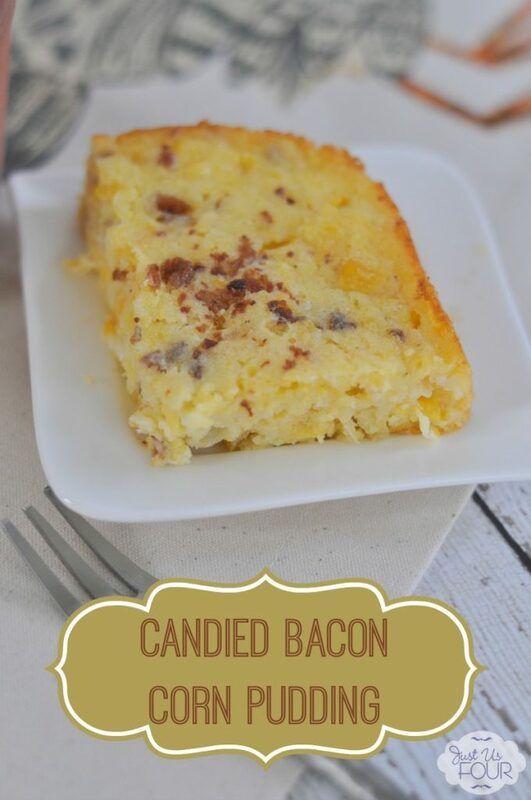 I love the addition of the candied bacon. If you didn’t feel like doing candied bacon, you could definitely just use regular bacon pieces. Preheat oven to 350 degrees. Line a large, rimmed baking sheet with foil. Place a nonstick cooling rack, coated with cooking spray, on top of the foil. Line up bacon on top of cooling rack. In a small bowl, combine brown sugar and cayenne pepper. Stir well to combine. Coat the top of the bacon with the sugar mixture. Bake at 350 degrees for 10 minutes. Reduce the oven temperature to 325 degrees and bake for an additional 15 minutes. Remove from oven and let cool. Chop into small pieces. Meanwhile, lightly beat the eggs in a large mixing bowl. Add creamed corn, whole kernel corn and melted butter. Stir well. 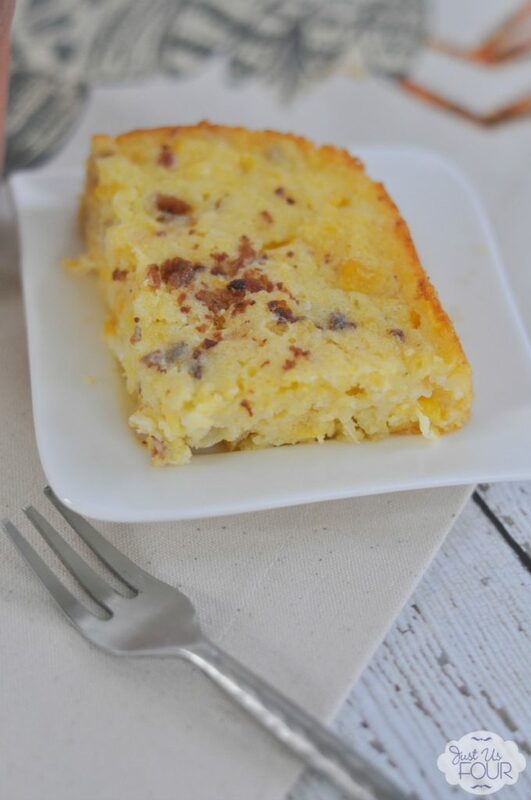 Stir in sour cream and corn muffin mix. Mix well and then stir in 2/3 cup of bacon pieces. Pour mixture into a 9x13 baking dish coated with nonstick cooking spray. Sprinkle the top with bacon pieces. Bake at 350 degrees for 45 minutes or until the center is done. 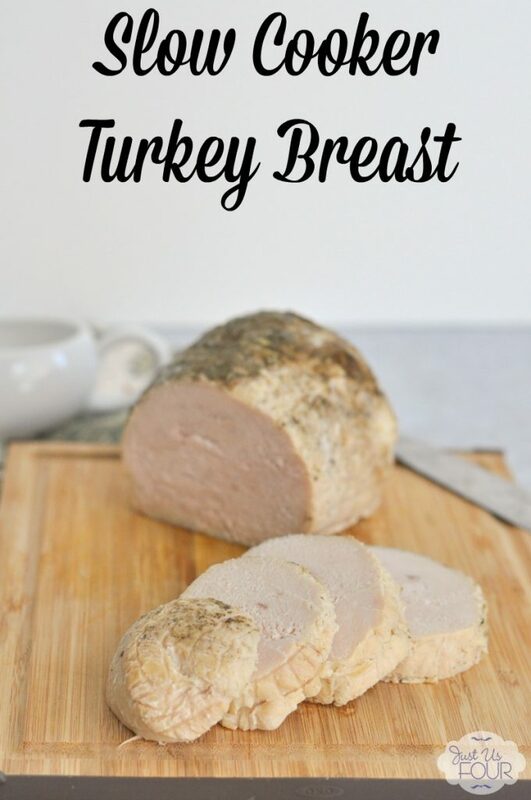 Sounds like a great and easy Thanksgiving meal!